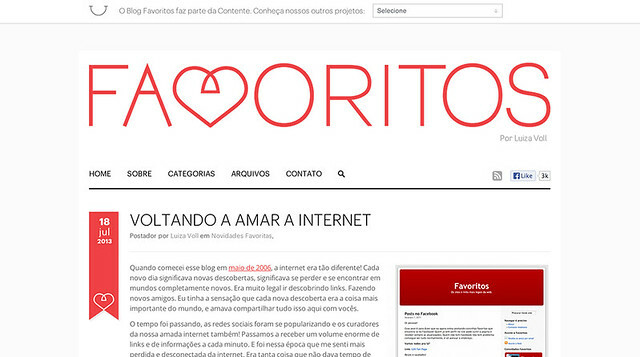 This entry was posted on agosto 7, 2013 at 2:06 pm and is filed under Novidades Favoritas. You can follow any responses to this entry through the RSS 2.0 feed. You can leave a response, or trackback from your own site. I will bookmark your blog and take a look at nce more right here frequently. I am quite certain I’ll be informed a lot of new stuff proper here! new tto the blogosphere. Simple but very precise info… Many thanks for sharing this one.